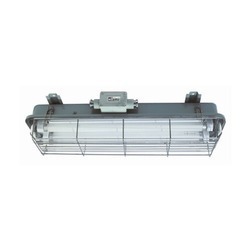 We are involved in providing the first-rate range of Waterproof Fluorescent Fixture, which is precisely made under the direction of expert’s team who has rich industry skill and experience. 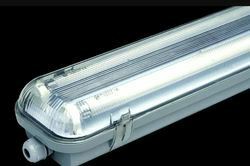 RL40 waterproof linear fluorescent tubular lighting features a slim 1.57-inch outer diameter polycarbonate tube. Lengths are available in 26 to 80 inches. Excellent illuminations in areas that are subject to the weather. For exterior lighting in commercial applications. For example security, factories, warehouses and public buildings. Made with high quality polycarbonate diffuser and base to withstand the weather. Feature stainless steel lockable latches, supplied as standard. Have an IP65 rating. Supplied with triphosphor colour 840 lamps.